If you want to be in the heart of the Middle East’s most vibrant city, look no further than The Ritz-Carlton Dubai International Financial Center! 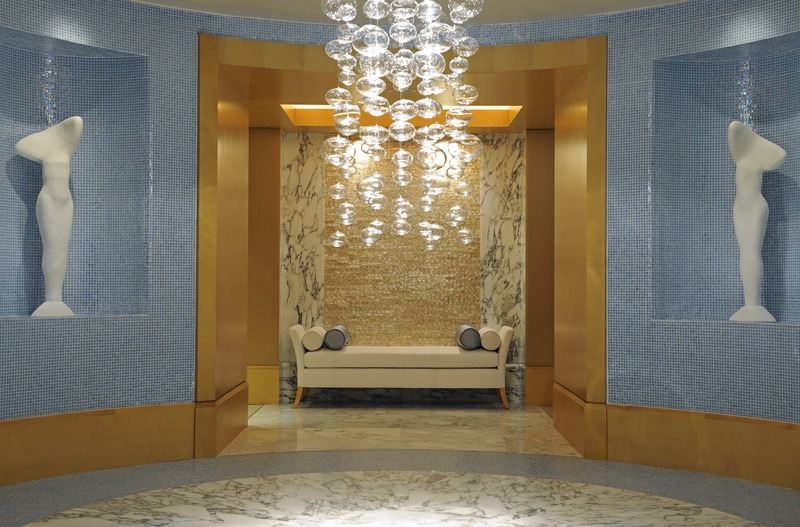 This Five Star hotel mixes glamour and business seamlessly. Located on Sheikh Zayed Road, The Ritz-Carlton DIFC appeals to guests seeking luxurious accommodations, an impressive amount of restaurants and lounges, and high-end amenities. We were greeted with a glass of fresh orange juice and quickly escorted to our beautiful room on the 12th floor overlooking the city. Everything about our room was gorgeous, from the views to the floor-to-ceiling windows and decor. 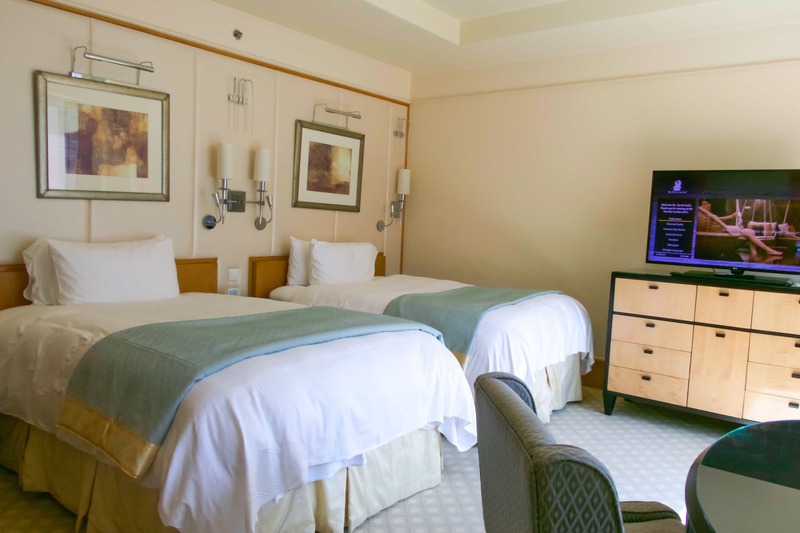 Our spacious rooms had two queen beds, a dedicated work area with accessible outlets, a couch and 32-inch TV, and a very large bathroom with two sinks, separate shower and bathtub. We immediately felt at home. I loved that the room had the perfect desk set up and plush chair for me to comfortably get some work done – with high speed WiFi too! 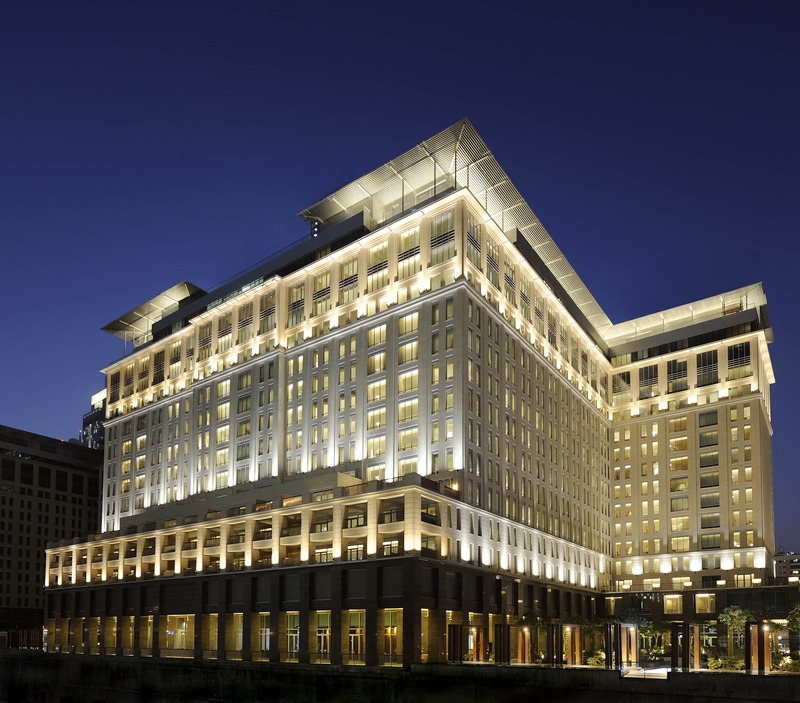 The Ritz Carlton DIFC is arguably located in one of the best areas in all of Dubai. 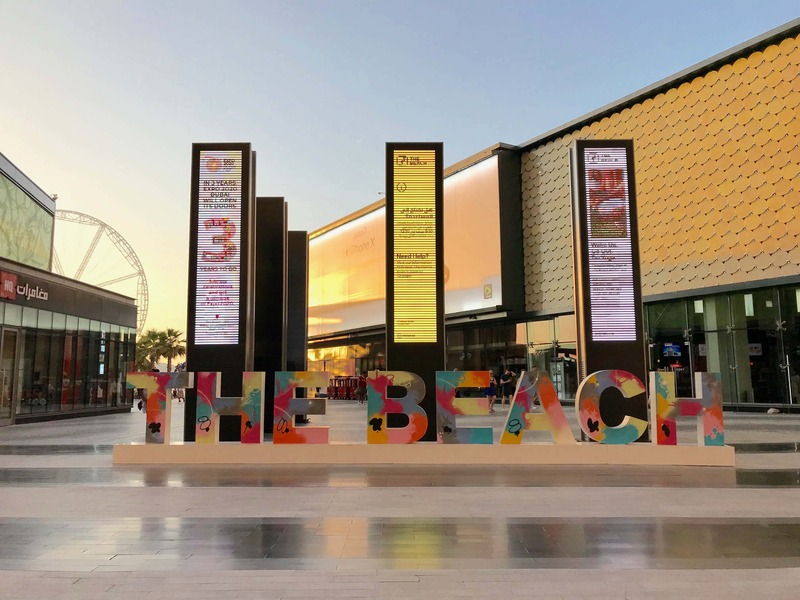 It’s just minutes from the Burj Khalifa (the world’s tallest building), Dubai Mall (the world’s largest shopping and entertainment destination), and Dubai City Walk. It’s also an easy five minute stroll to the metro if you’d like to explore outside of the downtown area. before checking out their awesome indoor or outdoor rooftop pool. 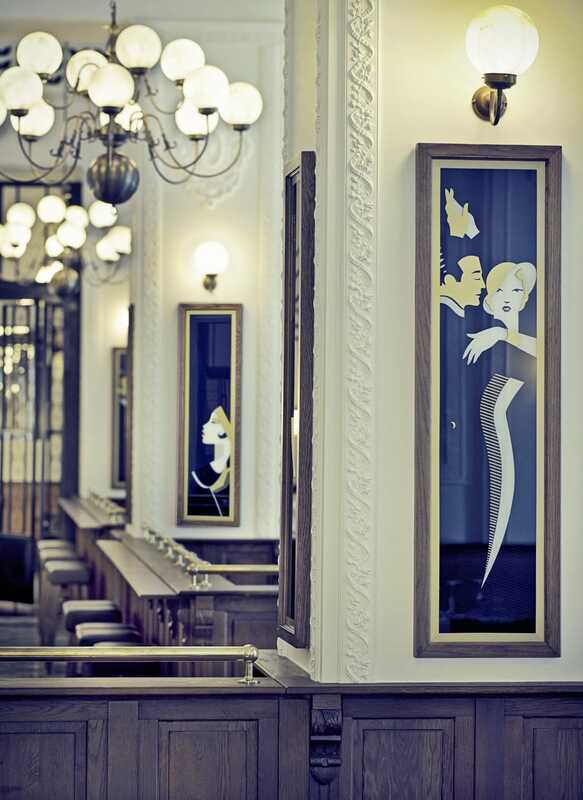 We had the opportunity to have dinner at Café Belge, a restaurant inspirited by 1920s Belgium. They serve classic Belgian food – with many seafood options – of the highest quality. For dinner we had Quinoa Salad with avocado, sweet corn, parsnip, and endive; Grilled Octopus with potato, pimento, and Pommery mustard; Seared Sea Bass with Puy lentils, corn, beans, and asparagus; and the Brussels Waffle Speculoos with speculoos ice cream and speculoos purée for dessert… and every single dish was mouthwatering and full of flavor. This restaurant is a must for anyone visiting Dubai! The following morning, we went to Cara for their outstanding breakfast buffet. It offered everything you could imagine from sweet to savory, traditional and western; and they even had two of my favorite fruits — dragon fruit and lychee! In both restaurants, the service was absolutely impeccable; the food was of the highest quality no matter what the hour, and the staff was extremely attentive. But the thing is, I’m not surprised — that’s the standard to which The Ritz-Carlton holds itself. 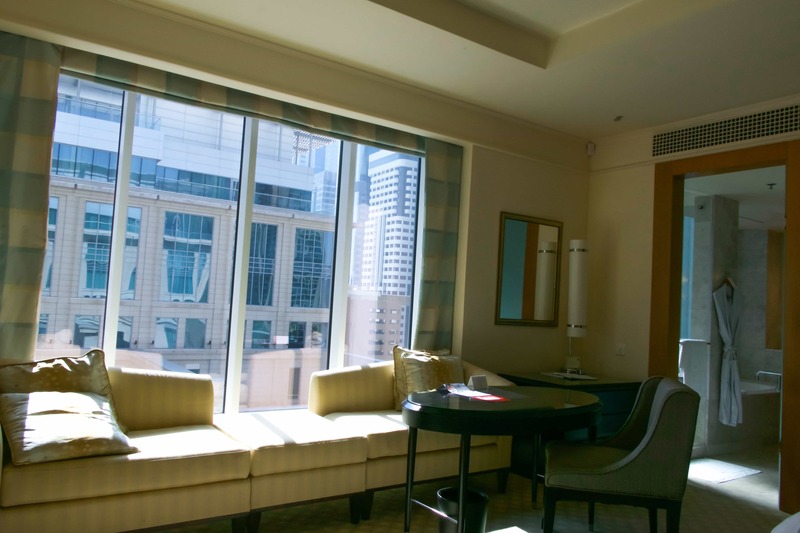 These qualities are the reason why you should stay at The Ritz-Carlton Dubai Financial Center if you’re staying in downtown Dubai. 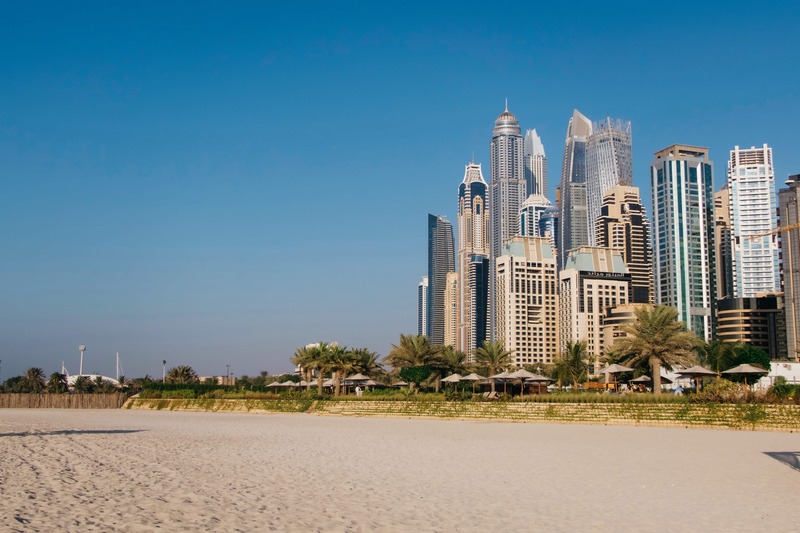 If, on the other hand, you don’t want to stay in the city and would rather be by one of Dubai’s famed beaches, I highly recommend that you go spend your time at The Ritz-Carlton Dubai located directly on the beach. The Ritz-Carlton Dubai is by one of the hottest spots in all of Dubai: the JBR Walk, an outdoor promenade of restaurants and shops. This is where luxury meets the beach. With staff to make up your beach bed and provide you with a cooler of water on the beautiful beach, you simply can’t go wrong. Take a dip and relax under the sun. 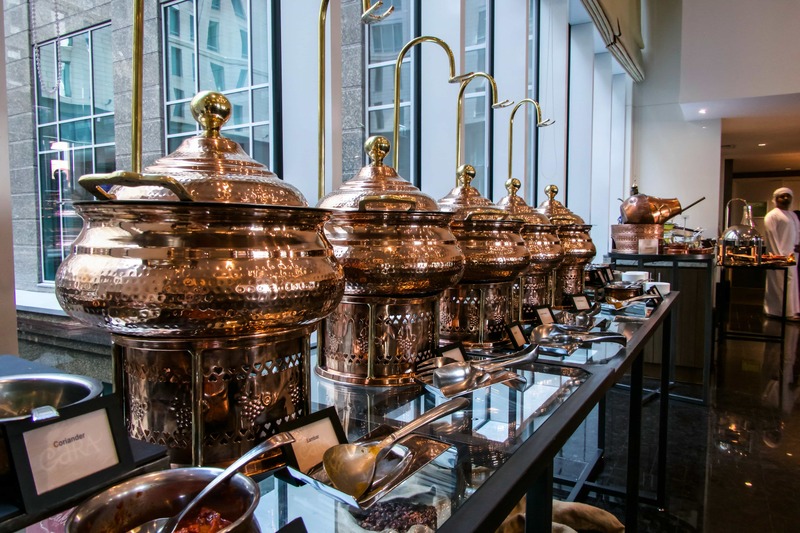 If you’re hungry, The Ritz-Carlton Dubai has plenty of on-site restaurants. We ate at Palm Grill to take in the beachy vibe and escape the heat for a bit. If you’re not much of a beach person though, The Ritz-Carlton Dubai also has two pools to lounge by. 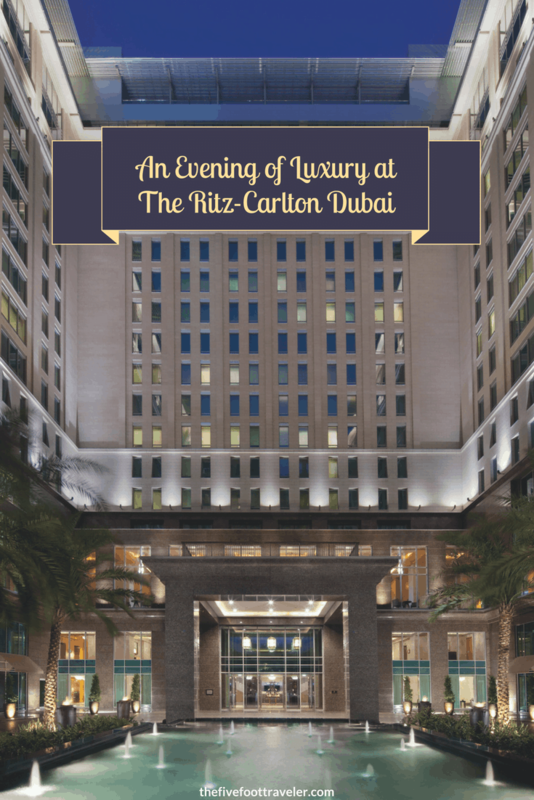 **Special thanks to The Ritz-Carlton DIFC & The Ritz-Carlton Dubai for sponsoring my stay. 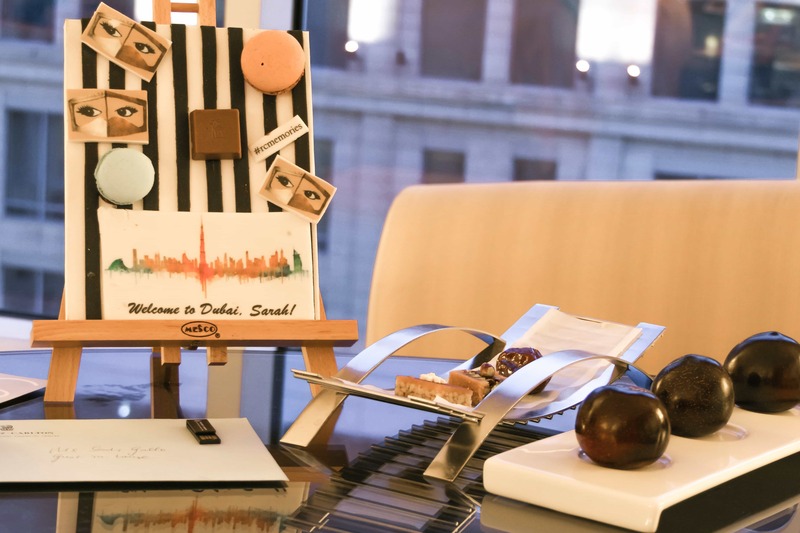 Some of the photographs in this article are courtesy of The Ritz-Carlton DIFC, and are pictured exactly as they appeared. As always, all opinions are my own. 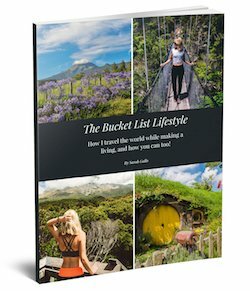 An amazing hotel to stay in! 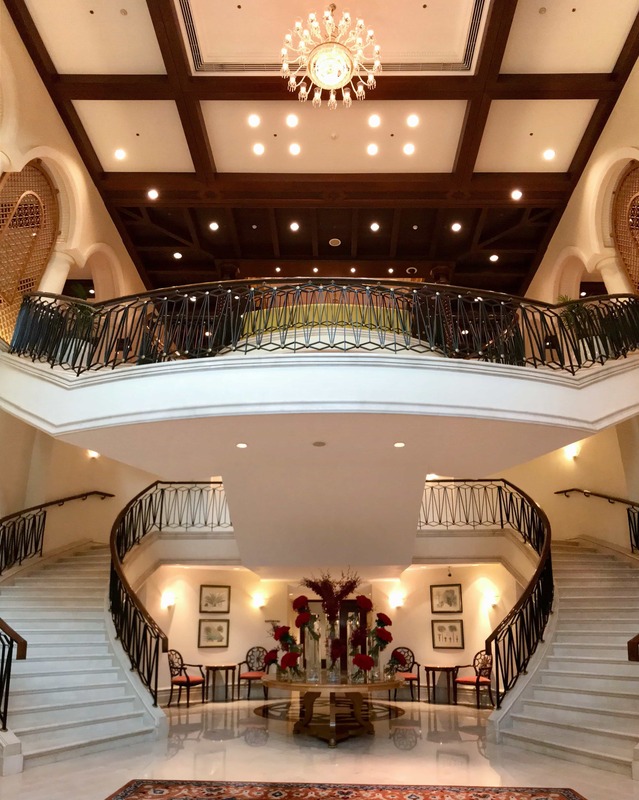 – access to any part of Dubai from this hotel is a doddle. Whilst very large, Ritz-Carltons always seem to maintain a cozy, family feeling.